In addition to his contributions to the Batman mythos, cartoonist Jerry Robinson’s career in the comic/comic strip industry is legendary. In Part 1, Jerry discussed his career with the Dynamic Duo and now he brings Frankie Thirteen up to speed about his eclectic activities in the sixty plus years since. FOG: Superhero characters, especially Superman and Batman in those days, were darker, rougher and grittier. Over time, they lightened considerably, especially going into the ’50s. How did you feel about that transition? JR: Well, I had left Batman in ’47 and I immediately plunged into other things, so I really didn’t follow it closely in those days. I worked with Stan Lee for ten years. I did all sorts of other stories ranging from crime, science fiction, adventure, war, and I wanted to something to break out of that one box on Batman. I thought I contributed enough over seven years to it. So I didn’t follow it. Then I got into book illustration. I illustrated some thirty books for major publishers of biographies, science, history, and then I did a newspaper strip, then became an editorial cartoonist. For thirty-two years, I did an editorial—political, social satire—one every day for six days of the week for thirty-two years. So I was heading towards other things while Batman went through many other artists and writers. FOG: Your Cartoonists and Writers Syndicate represents a lot of political cartoonists. 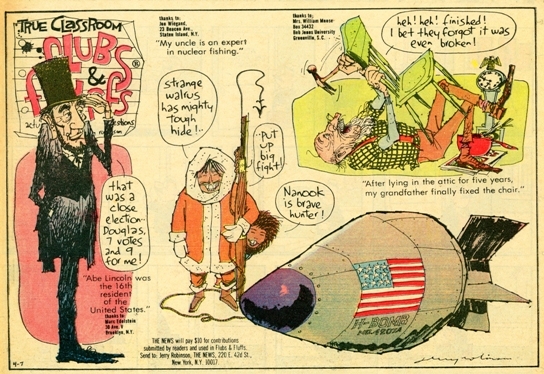 What drew your interest to political cartooning? JR: When I was free to do whatever I wanted after leaving the comics, that was one of my goals, to be a political cartoonist. I’ve always been politically-minded. I always kept up with politics. I figure it ran in the family. My mother was a Democratic committeewoman when she was young, locally, in Trenton. I grew up with Frederick Roosevelt. He was very inspiring. So I got involved with politics. Even when I was doing Batman, I followed politics religiously. 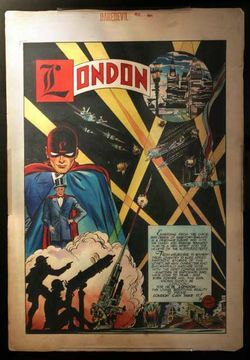 In fact, one of my first characters on my own that I created and wrote was called London. I created that during the early days of World War II before we even got into the war. London was fighting the blitz, standing up against Hitler. His other identity was a radio announcer, so he was modeled after [Edward R.] Murrow, who was the great war correspondent of the time. So politics was always part of my being, and I decided I wanted to devote all my time to it—well, I did other things while I was doing a political cartoon, but I did one every day for thirty-two years, so it was pretty all-absorbing. I became president of the American Editorial Cartoonists Association, and devoted a lot of my time to that. Then I founded the Cartoonists and Writers Syndicate in 1979 and gathered together the greatest political cartoonists and other graphic artists from around the world for my syndicate. FOG: Your syndicate continues to operate and thrive today. JR: You should see all the cartoons from around the world on the New York Times Syndicate website. The Times represents cartoon syndicates around the world, so we put up new cartoons from around the world every day. So your readers might like to see the best of foreign political opinion as well as—we put up American political cartoonists. 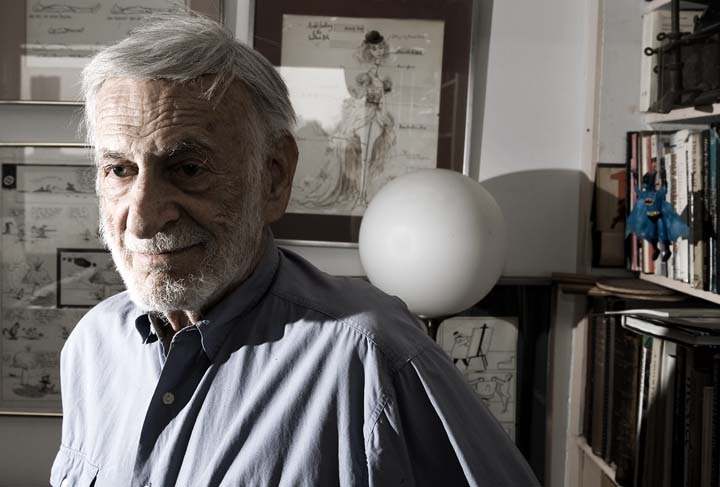 We have the four of the top American cartoonists, Pulitzer Prize winners. 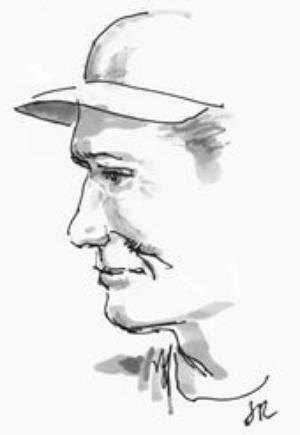 And we also have caricatures, we have humor cartoons and other things as well. FOG: That’s a lot of prestige under one banner. JR: Yes it is. 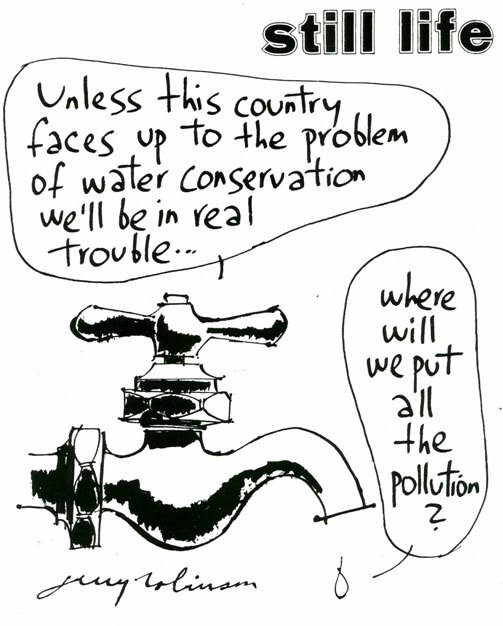 We have the equivalent of our top cartoonists here from countries abroad, every place from in Russia to South America. FOG: You also branched out into musical theater in a roundabout way. You created a character named Astra that was done as a Japanese manga. How was working in that style with your artist on that? JR: Well, it was a co-creation. I co-created it with Sidra Cohn, who is a very fine writer and actress. It was first written as a musical, called Astra: A Comic Book Opera. It was in three acts and we wrote lyrics for some thirty songs. It was while we were in production that we had a show in Japan and we showed some of the original sketches for Astra to my Japanese publisher and they flew me over to work with a Japanese manga artist [Shojin Tanaka]. And so it was published in Japan, using the characters but not our story. Just kind of a general idea of the story, but not the actual thing. That was produced as a manga, mostly in a magazine then collected into a large manga. Later, it was translated by an American company into English, but with the Japanese story. So the American play was translated into manga and back into English. And finally it was produced in Washington, D.C. about two years ago, extracted from the opera. 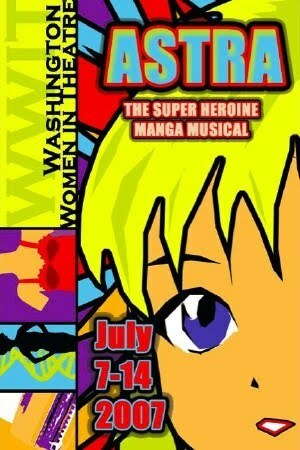 FOG: With the Spider-Man musical headed to the stage, have you ever thought of bringing Astra back? JR: Well, I’m involved in so many other things at the moment. I thought of it, but I haven’t had time to devote to it recently. Maybe I’ll get to it. I think it would make a very good film too. It’s a combination of science fiction, adventure and romance. A little bit of everything is in there, and political satire also. FOG: Of course. Speaking of politics, you’ve demonstrated a sense of justice and respect for history, key qualities that led you to the creators’ rights arena back in the ’70s. 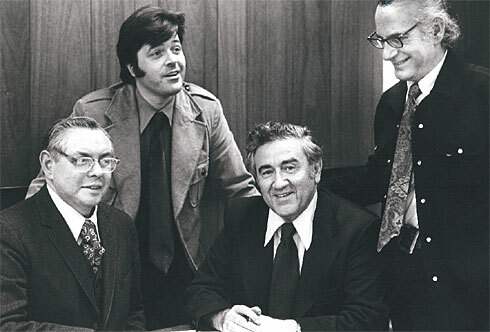 You and [Batman and X-Men artist] Neal Adams had championed [Superman creators] Jerry Siegel and Joe Shuster. JR: They were close friends of mine in the old days, Siegel and Shuster. It was something very satisfying for me to be able to help them. FOG: Did your personal experiences on Batman with the characters you created, as well as what happened to Bill Finger, fuel your efforts as well? JR: Yes, since I felt the same things about Bill—he was very badly treated. He didn’t get co-authorship or money. In fact, he died broke. I knew Bill and his wife very well, and he had a young son. So that was almost as tragic as Siegel and Shuster. In fact, it was more so, because he never got his due. He was never acknowledged by Bob or the rest of the field until after his death. That was tragic. I had the opportunity to do something, at least what I could do, after he was gone. You probably know it. I established the Bill Finger Award in his memory at the San Diego Comic-Con. FOG: It’s moving, especially as a writer, because you never want to go through that where you spend all this time and effort, and it goes without acknowledgement. JR: Oh yeah, it’s just tragic, you know, with his family and food at the table. It got down to that, as it did with Siegel and Shuster. They were the co-creators of some of the biggest properties of the 20th century, that made millions—billions, I should say, over the decades. And here they were, destitute. It was a tragedy of epic proportions. FOG: But you were able, with Siegel and Shuster, to rectify that? JR: As much as we could. Not entirely. But we preserved their dignity, got a livelihood to serve them the rest of their lives, and they were very proud of it. And most important, which was a personal thing to do, was to restore their name to the property. They had actually dropped their creator credits on everything, so we got it back onto all print and film [of Superman]. They were very grateful for that. FOG: Do you feel today’s creators in the comics “mainstream” are getting that fair shake you were looking for? JR: Well, it’s certainly much better. I can’t say it’s everything, but it’s all on an individual basis. But they do share, the newer ones. I don’t know what all their contracts are, but I do know their rights are better protected than they were before. There’s still a long way to go to achieve full creator rights that do exist in films and book publishing. That’s the most I can say about it. FOG: You’ve been working a lot as well as an ambassador of comics—which is the title of your new book—and as a historian. 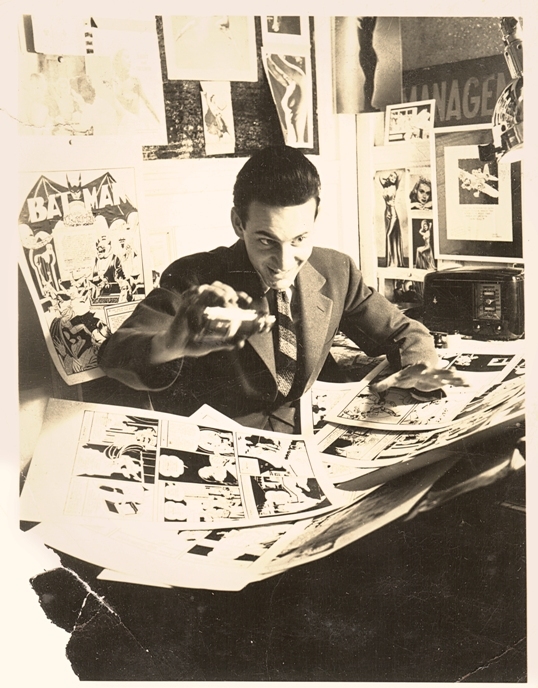 As far as chronicling the history of comics, what is your favorite period in comics history? 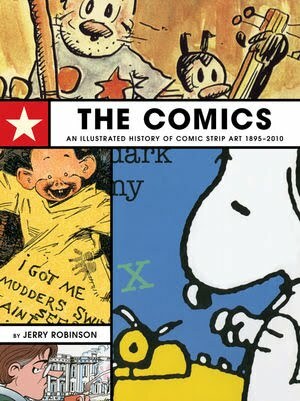 JR: Well, I don’t know if it’s generally known, but I did this big history book back in the ’70s called The Comics: An Illustrated History of Comic Strip Art. It was a big coffee table book, and Dark Horse is republishing that in the spring. For that I wrote 20,000 new words, brought it up to date, changed a lot of information from before. The whole original book is being republished, but with all new color art, and I must say, Dark Horse is doing a magnificent job of reproduction. It’s going to be, I think, one of the most beautiful books on the history of comics every published. I’m very excited that project. So that fits into your question about the history. I know the initial launching of comics—which I expanded on in this book with the Yellow Kid and his author, [artist/writer Richard] Outcault—was a fascinating period, and that launched the comics. And I show how it developed, as well as the European antecedents of the comics, the precursors. The ’30s and ’40s were a great period of creativity with a lot of writers and artists. Roy Crane was very influential; Milton Caniff, with Terry and the Pirates; [Alex] Raymond had beautiful art on Flash Gordon; and one of the supreme storytellers, Hal Foster with Prince Valiant. Then came another whole genre of humor in sophisticated kids’ strips such as Peanuts, which was really groundbreaking. There was a strip before Peanuts called Skippy, which was very popular in the ’20s and ’30s. I did write a biography of that creator, Percy Crosby. That influenced a lot of the later kids’ strips, including Peanuts. I love writing about the comics. I never tire of it. There’s always new facts about the characters. The creators are all geniuses in their particular genres. FOG: One other question: whatever happened to that jacket? JR: (Laughs) I wish I had it! I could retire on that alone, I think. Actually, I gave that to my—I had three nephews, sons of my eldest brother, who I was very close to, and I gave it to the oldest one at the time, who was probably about eight years old. As he outgrew it, he handed it to the next one who was two years younger, and then he handed it to next one. I think by that time, it must have been threadbare. Nobody knows what happened to it, finally. The family got a lot of use out of it. 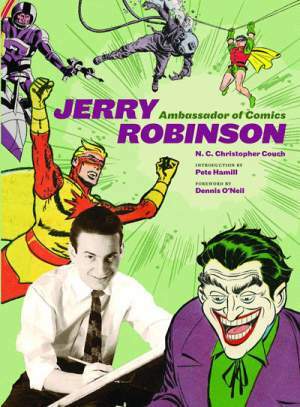 Jerry Robinson: Ambassador of Comics by N.C. Christopher Couch is available now.